I can't think of a better setting: engagement photos in an apple orchard during the fall season. That's what Dustin and Melissa wanted for their engagement session. They wanted their photo shoot to be part family session (with their daughter Lilly) and part engagement session. 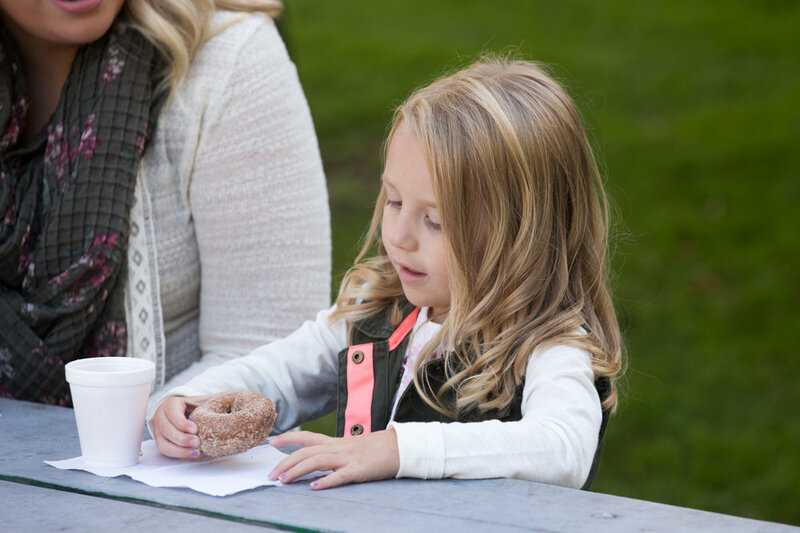 So we scheduled the family session first and after capturing how cute their family is, made sure to offer them cider and doughnuts from Robinette's. Grandma, who also came along, was able to watch Lilly as mom and dad headed out for a few minutes of portraits, just the two of them. 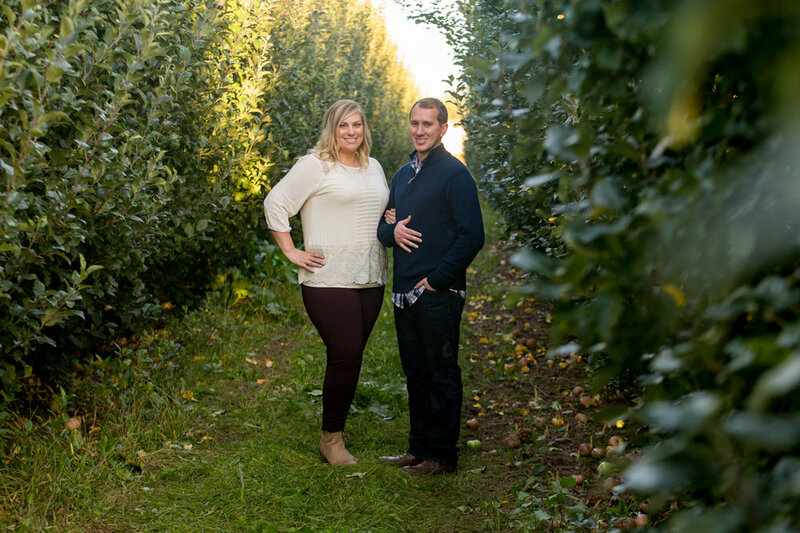 Robinette's orchards look amazing this year and it was the perfect setting to watch Dustin and Melissa become comfortable in front of the camera. Their wedding at Bay Pointe Inn on Gun Lake next summer will be an intimate event, with close family and friends and we cannot wait to celebrate them as husband and wife!